Stefanusalliansen, or Stefanus Alliance International, is a Christian missions and human rights organisation, with a special focus on freedom of belief and religion as expressed in §18 of the UN Human Rights Declaration. We started in November 1967 as Misjon bak Jernteppet (‘Mission behind the ironcurtain’). When the ironcurtain through Europe fell from 1989, we changed name i 1990 to Norsk Misjon i Øst (‘Norwegian mission to the East’). From 2012 we have had our current name, after the first martyr. We celebrated the 50 Years anniversary in November 2017. Our motto is: «Together for the persecuted.» We provide support, care, and practical help for churches and individuals who are persecuted or oppressed because of their religious beliefs. Through focusing on incidents where freedom of belief is violated, we try to put pressure on the authorities in countries where such violations are taking place. By lobbying the Norwegian government and parlamentarians to address these issues, and by challenging individuals to write letters of appeal, we advocate on behalf of those who have had their religious rights violated. We have also a lot om supporters who pray for people suffering for their belief. Stefanus Alliance International is based in Oslo, Norway, and supports projects in these countries and areas: Egypt, Syria, Lebanon, Iraq, Ethiopia, Turkey, Russia, Central Asia, Vietnam, Myanmar/Burma, The arabian peninsula, North-Korea and Iran. Together with the Nordic Ecumenical Network for Freedom of Religion or Belief (NORFORB) we have developed a digital learning platform for FORB. Here you will find resources that help individuals, communities and decision-makers to learn, reflect upon and promote freedom of religion or belief for all. The platform includes resources for personal study, like short videos and written material, and for group trainings. It was launched in March 2018 and got positive response both from EU and UN. You find it here. 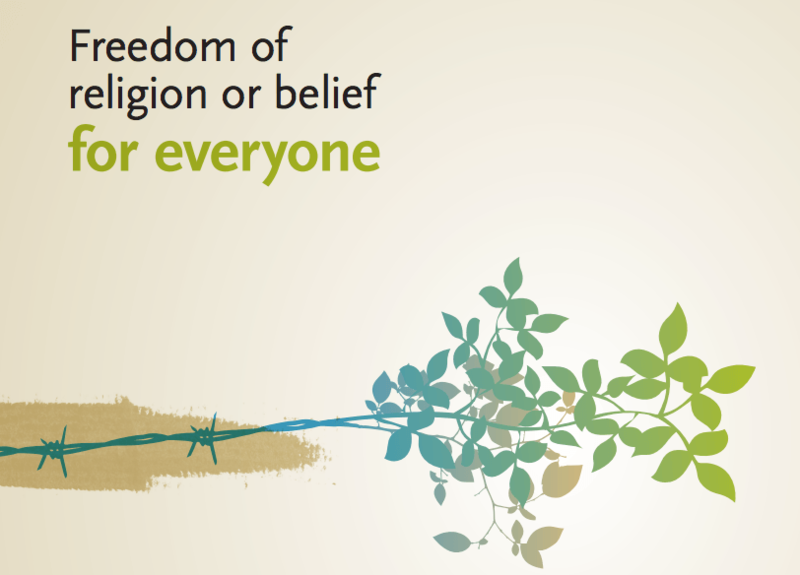 Looking for our Freedom of Religion or Belief booklet?